NYLA brand white leather pumps, with black satin lace details. Ms. Kitty photosets and videos. Presented in many exclusive photosets. Description: Well worn by Ms. Kitty. 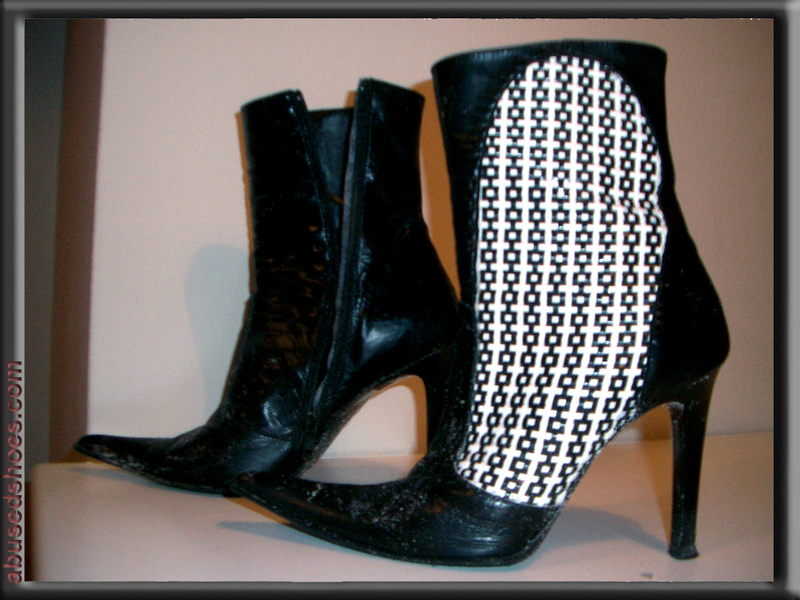 Italian leather Rossi black and white cross stitch stiletto ankle boots. 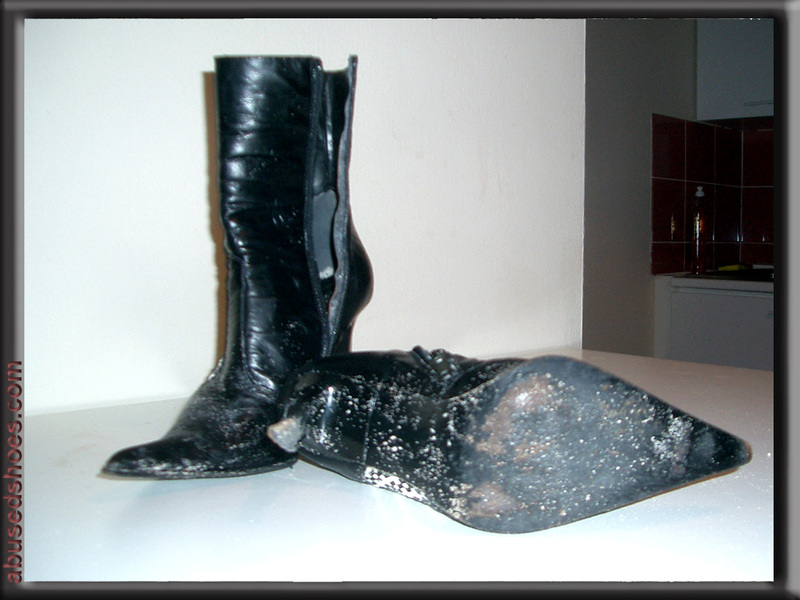 Size 6 or European 36. As seen in the 2006-04-30 photoset, where Kitty walks through puddles and mud. Also seen in the famous H2 Hummer dessert set.